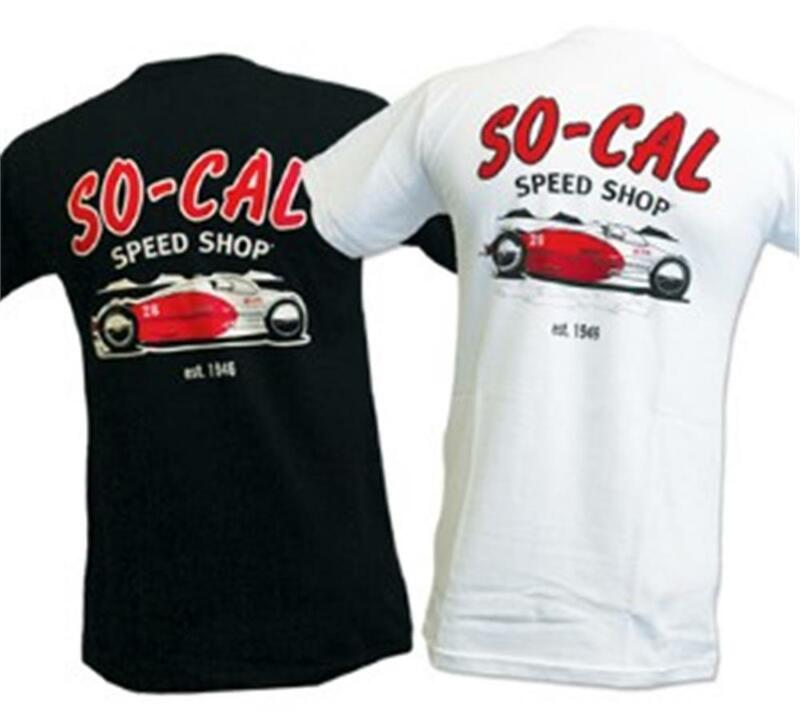 The So-Cal Speed Shop Belly Tanker T-shirt is made of 100% cotton and available in either black or white. Large logo across the rear of the shirt and small script logo on the left chest. This shirt commemorates founder Alex Xydias’ 198.34 mph run at the Bonneville salt flats in 1952.